We hope everyone had a good summer and welcome once again to both our old and new members for the 2008-2009 season. Once again we are competing in the YHL tournaments with teams in each of the four age groups. Due to the number of girls that train with our U12’s section, we have two teams entered in this division to allow for more opportunity to play. Ultimately we hope to offer match experience to every member however, to be eligible for team selection by the managers you need to be a fully paid up member and to regularly attend training sessions. 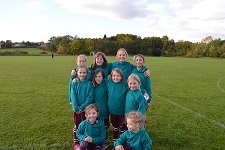 Weather permitting, a total of 6 tournaments per age group are played over the season as well as being dependent on having our volunteer team managers to accompany the girls on these occasions. Should any parent/carer feel that during the course of the season their child has deserved a place but not yet participated, then please have a word with one of our committee members who will be only too pleased to pass your contact details to the relevant team manager for inclusion at the earliest opportunity. Any girl chosen to represent KGHC as part of the squad is likely to be contacted by their team manager during the week prior to the competition. All fixtures can be seen using the links on the left of this page. After the success of last year’s Hockey Leaders course we are hoping to run another one early on in the season. 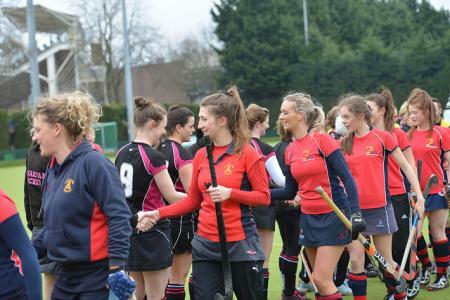 The 6 hour course which runs over 3 evenings is ideal for any parent who wants to get involved with the club, either helping out on the pitch on a Sunday morning or travelling with a team to the YHL fixtures. Even if you just want to learn some basic skills or gain an insight into junior coaching it is well worth it. As soon as we have dates, information will be made available at training and on our website. And last but not least, here is our request for any willing parents/carers to come forward and assist. Not only would it be great to see some new faces getting involved with the committee, we are also reliant on volunteers to take subscription money on a Sunday morning etc. Please make yourself known to the committee or coaching staff if you feel you could help out in any way. Previous hockey knowledge is definitely not a pre-requisite although anyone who may have had playing/coaching or umpiring experience will certainly be put to good use. Members should keep to agreed timings for training and competitions or inform their coach or team manager if they are going to be late or absent. Members must wear suitable kit – shin pads, gum shield (strongly recommended), suitable clothing and footwear for training. Team kit for match sessions as agreed with the coach/team manager. The club reserves the right to ask a member to leave the club if in their opinion the player’s behaviour is unacceptable. Showing respect and consideration to players at all times. Being aware of issues concerning Child Protection and ensuring the safety of players. Planning and preparing coaching/training sessions to account for different ability groups. Facilitating the development of new skills. Developing an ethos of support and consideration for others. Encouraging sportsmanship and courtesy to officials and opponents. Providing an environment where hockey is fun. Supporting and encouraging excellence for those who wish to achieve. Having access to a First Aid Kit and a mobile phone at all times. We recognise that maintaining safety is a very important part of a coaches’ responsibilities. Juniors and parents can also assist coaches by thinking carefully about their activities, particularly before and after sessions. Accident Reporting The junior section has a policy for accident reporting and coaches/managers have a supply of forms and will ensure that full details of all accidents are logged.